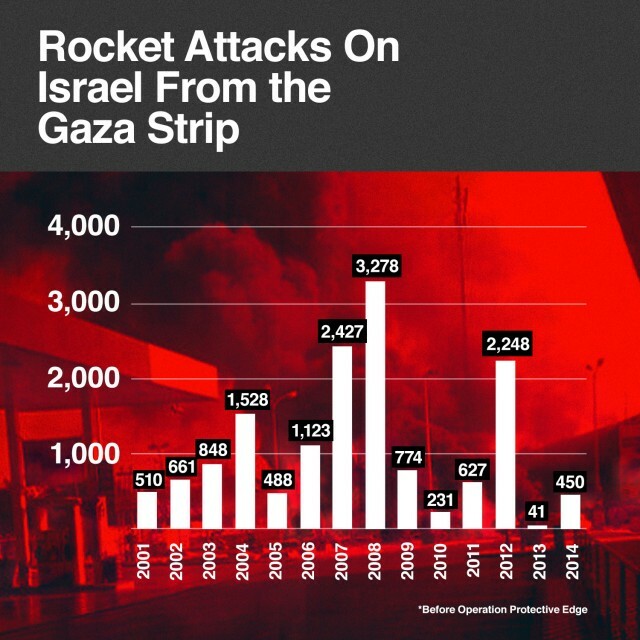 Since Israel unilaterally withdrew from the Gaza Strip in 2005, terrorists have fired more than 15,000 rockets and mortars into Israel, putting nearly one million Israeli citizens under direct threat everyday. Since 2001, this rocket terrorism has left more than 60 civilians dead, 1,500 injured, and hundreds of thousands traumatized. Hamas' arsenal includes mortars and rockets such as the upgraded Qassam, Katyusha, GRAD, and the new Iranian M-302, M-75, and Fajr-5. These weapons have ranges that can reach most of Israel's population centers such as Ashdod (population 200,000), Beersheba (pop. 197,000), Ashkelon (pop. 113,000), Rehovot (pop 113,000), Sderot (pop. 22,000), and now the major cities of Tel Aviv and Jerusalem. 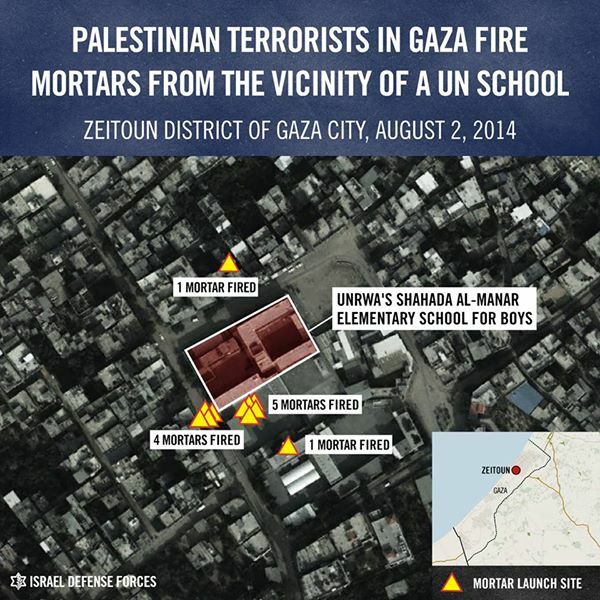 The image below shows sites where Hamas militants have fired mortars towards Israel in the vicinity of a UN school in Gaza. 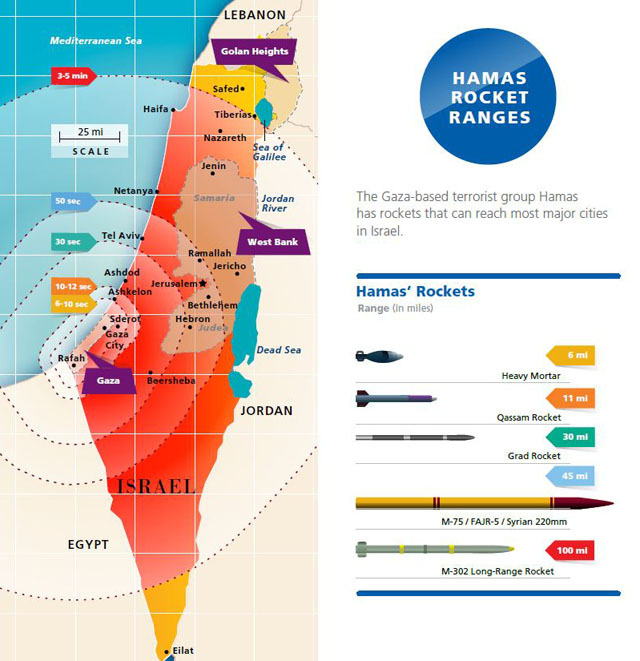 The image below shows sites where rockets and mortars were fired from in the left image, and shows sites targetted and destroyed by the IDF in the right image. 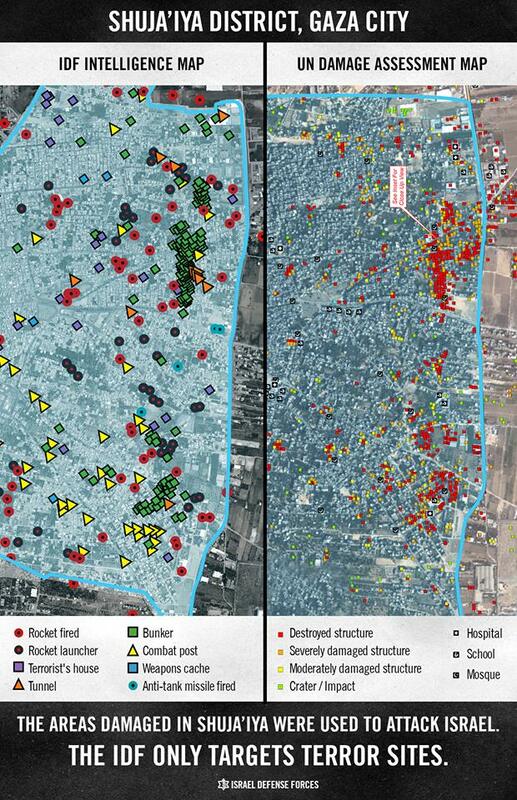 Notice how the areas that sustained the most damage were the areas that were identified by the IDF in the left image, but most of the rest of the Gaza Strip is untouched. This is because the Israeli military uses precision strikes to take out known terrorist operation sites.